Located on Highland Avenue, across from the Hollywood Bowl. 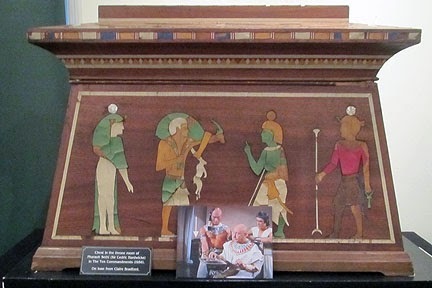 It is the building that makes this very small museum a grand part of the movie history. 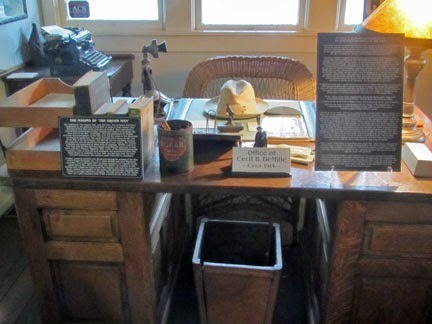 Known as the "Lasky-DeMille Barn," it held the first office of Cecil B. DeMille. Built as a barn in 1895, it was converted (1913) into the Burns and Revier Studio and Laboratory. 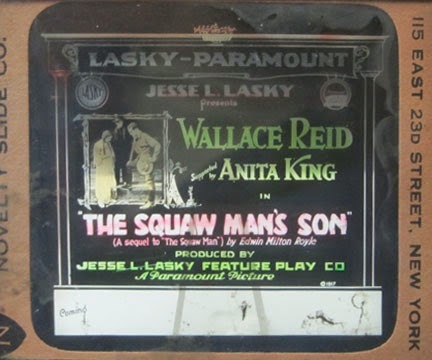 It was leased to the Jesse L. Lasky Feature Play Company which began production of its first feature film, The Squaw Man (directed by Cecil B. DeMille). 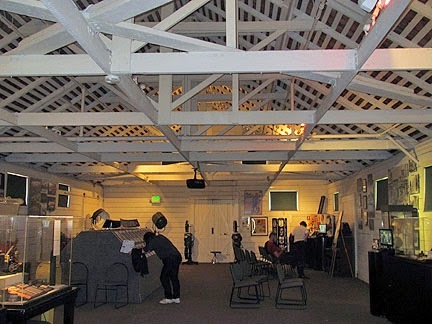 The horse stalls were turned into a storage area, the carriage stand into an office for DeMille and Lasky and a 30 foot square platform was added to use as a sound stage. 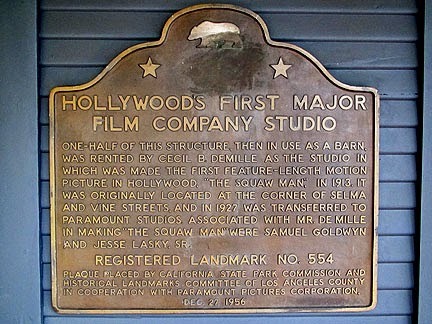 In 1926, the building was moved to the back lot of United Studios (now Paramount). 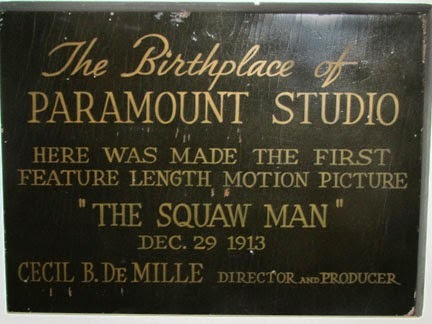 On the Paramount lot, it was used as a studio library and later a gymnasium. Over the years, the exterior has served as a facade for several western films and television shows. 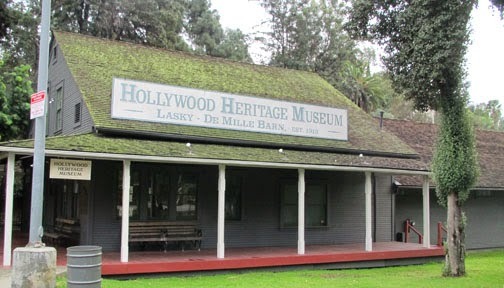 In 1979, it was moved to a vacant lot in Hollywood, moved again to a parking lot and finally moved to its present location in 1983, where it was restored and became the Hollywood Heritage Museum. The general manager of the Jesse L. Lasky Feature Play Company was Samuel Goldfish (later known as Goldwyn, the "G" in "MGM"). 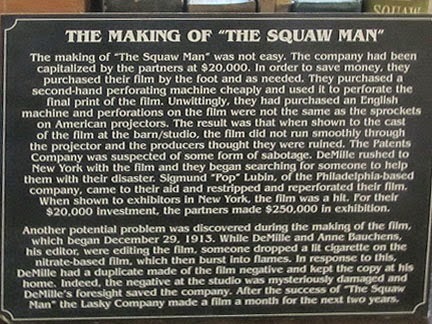 The movie The Squaw Man, rented several wigs from Max Factor, launching his involvement with the growing movie industry. 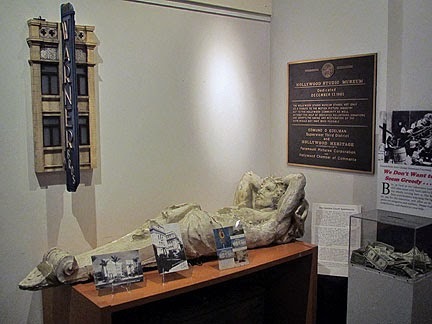 This is the place to visit if you want to learn about early silent film actors. 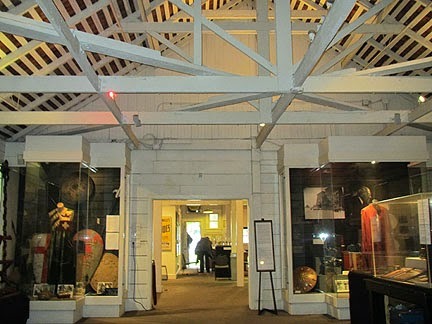 They have a very nice gift shop and friendly docents who will answer all your questions.